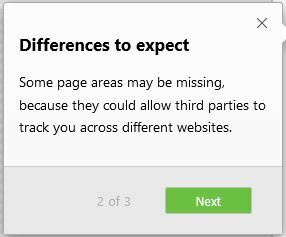 We like the Firefox browser at Kibosh because it’s the only popular browser that – currently – 1) offers built in tracking protection (new, see below), 2) does not operate for profit (currently), and 3) does not collect, and save user data (unlike Chrome). 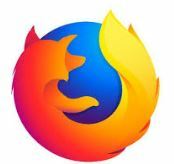 The latest FF (v63) adds protection from web fingerprinting technologies and also web mining scripts. Mining scrips are how hackers use your computer resources (RAM/CPU/GPU) to mine for bitcoin (diabolical, but clever). In regards to #1 – FF Tracking Protection (TP) has always blocked advertising, analytics, and social sharing, but traditionally it’s only enabled when using the Private Browsing mode. In the new FF you can now set TP to “Always”, “Only in private windows” or “Never.” You want to set it to “Always’. You can do this under Tools / Options / Privacy 7 Security: Tracking Protection “Always” to enable it globally. Enabling Tracking Protection (TP) will noticeably speeds up web browsing by eliminating a large download burden. In other words – it’s a good idea to turn this to Always. No problem, just click Next. If you run Windows use their free antivirus (we do not recommend avast or avg that enable components you do not need, or want): Windows Security Essentials for Win 7 and Windows Defender for 8, and 10.